While Torrance hotels offer exceptional venues, there are several off-site venues that can add a unique flair to your meeting. Here are a few to consider. Within the corporate headquarters of Sunrider International lies a spectacular private collection of Chinese art from the personal collection of Sunrider founder, Dr. Tei Fu Chen. Dr. Chen shares his passion for art by graciously opening the gallery for free private tours. Group tours by expert docents take visitors through more than 1,000 artifacts and works of art spanning 5,000 years of Chinese history. The gallery currently features work in a temporary exhibition of Dr. Chen’s more recent acquisitions of European art creations by Fabergé, Picasso, Matisse, and others. Visit the website to learn more. The Torrance Cultural Arts Center—considered by many to be the city’s crown jewel—offers a vibrant mix of modern architecture and natural beauty. The center includes a Japanese garden, art museum, multiple meeting spaces, banquet facilities, two indoor theaters and two open air plazas. This one-of-a-kind complex can be booked for part or all of a meeting and for special events. Visit the website to learn more. Within the Torrance Cultural Arts Center, the 502-seat theater offers full theater amenities, including a large curtained stage, dressing rooms, 10’ by 20’ screen, audiovisual equipment, and an elegant lobby. The theater provides an ideal setting for special performances, awards ceremonies, video screenings, speaker presentations, and other stage-worthy events. Visit the website to learn more. Not your typical community college, El Camino College includes a separate Center for the Arts featuring the 2,048-seat Marsee Auditorium, 353-seat Campus Theater, and 180-seat Robert Haag Recital Hall. Each is available for rental. The center offers several public events each month, so you’ll want to book your event well in advance to secure a space. Visit the website to learn more. After a long day of meetings, a cold, well-crafted beer might be the ticket to some relaxed fun. 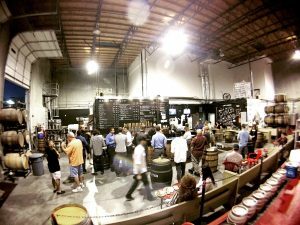 Located not too far from the Strand bike path, Strand Brewing Company is willing to help by hosting an event in the brewery’s large warehouse space. Strand can also arrange for some yummy food (think barbecue and brews, perhaps?) from local food trucks and restaurants. Bring the meeting to Absolution Brewing Company for fun that lives up to the brewery’s motto: pure pleasure, no guilt. With beer names like Angels’ Demise, Cardinal Sin, and Purgatory (to name a few), how can you go wrong? And nondrinkers won’t be left out with Absolution’s handcrafted Redeemer Root Beer and Confession Cream Soda. Absolution will open their warehouse for your event and can arrange the best local food trucks to join in the fun. These are just a few of the notable spots to consider. We’ll be featuring others, so please check back.